With the holiday season quickly approaching, many Maryland drivers will take to the roads to visit family and friends. For some of us, this means traveling in wintery weather when road conditions are less than ideal. 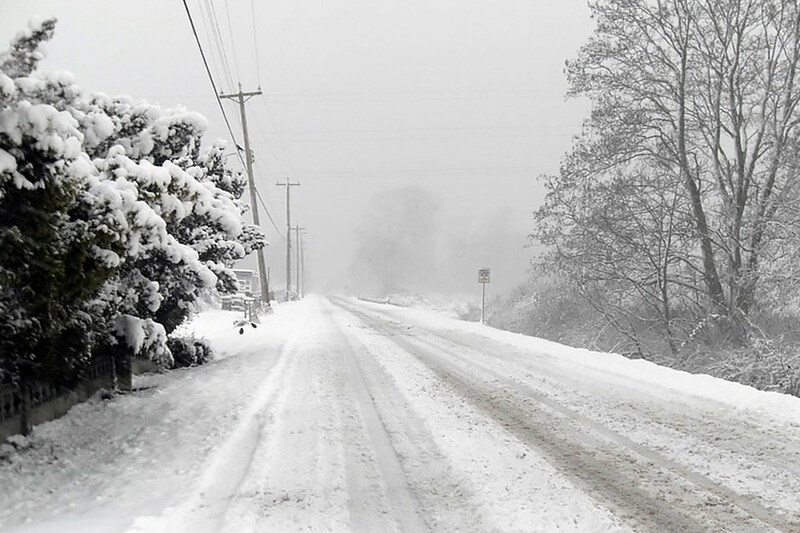 Get to your destination safely this holiday season with these Maryland winter driving tips. Your car should be winter-ready before you travel, so check your vehicle’s antifreeze, oil, wipers, and wiper fluid. You should also inspect your tires to ensure they’re in good condition and are properly inflated. While traveling, AAA recommends that you keep at least a half tank of gas in your vehicle at all times. Before embarking on your winter journey, know your route and share it with someone at your destination. Even if you’re traveling on a familiar route, check the forecast and road conditions before leaving and give yourself extra travel time to avoid rushing. In addition to items you should always carry—jumper cables, flares, and a flashlight—your winter driving kit should include a shovel and material such as kitty litter or sand in case your vehicle gets stuck in the snow. Pack a blanket and extra scarves, gloves, hats, and socks to protect yourself and your passengers from the cold. Bring food, water, and any medications you may need if your vehicle breaks down and you have to wait for help. We’ve all seen—or barely seen—that car on the road that looks more like a traveling snow bank than a vehicle. Driving with snow on your car can be dangerous, not only for you, but for other drivers. To reduce the chance of snow flying off your vehicle and impairing another driver’s visibility, and to increase your own field of vision, thoroughly remove all snow and ice from your vehicle before driving. If you do find yourself in a skid, remember not to panic. Take your foot off the gas pedal and carefully steer in the direction of the skid to bring the back end of your vehicle in line with the front end. Ideally, try to practice this technique, and winter driving in general, on quiet roads before traveling. The more practiced you are, the better prepared you’ll be when you need to drive in unpredictable weather. When you see snow plows and salt trucks on the road, don’t pass the plow! Since their vision is often limited, passing a plow can be dangerous, especially if they are part of a multi-vehicle plow chain. Give these vehicles extra room to maneuver—the Maryland Department of Transportation recommends at least three vehicles’ lengths (approximately 25 feet). If there are blizzard warnings in your area or a state of emergency has been declared, avoid driving if you can. Staying home will not only keep you and other drivers safe, but give snow plows and salt trucks an opportunity to treat the roads and return them to normal operating conditions. If you do venture out in bad weather and your vehicle breaks down, move it off the roadway and stay with your vehicle—this is the safest place to wait for help. Make yourself more visible to other drivers by lifting the hood, hanging a scarf from the window, tying a bright cloth to the antenna, and/or leaving on your interior lights. If you have to run the vehicle for warmth, take precautions against carbon monoxide poisoning by clearing snow from your exhaust pipe and only running the engine for short periods of time. Even when drivers are precautious and prepared, accidents still happen. If you are injured due to another driver’s negligence, the attorneys at Pinder Plotkin can help. Our team prides itself on its bull dog determination, and we work diligently to address your concerns and provide the help you need. For personal injury claims, our contingent fee policy ensures that you will not pay a dime for fees or expenses unless we achieve a financial recovery for you. Please call us today at (410) 661-9440 or fill out our online contact form to receive a free consultation regarding your case.